Hi there! 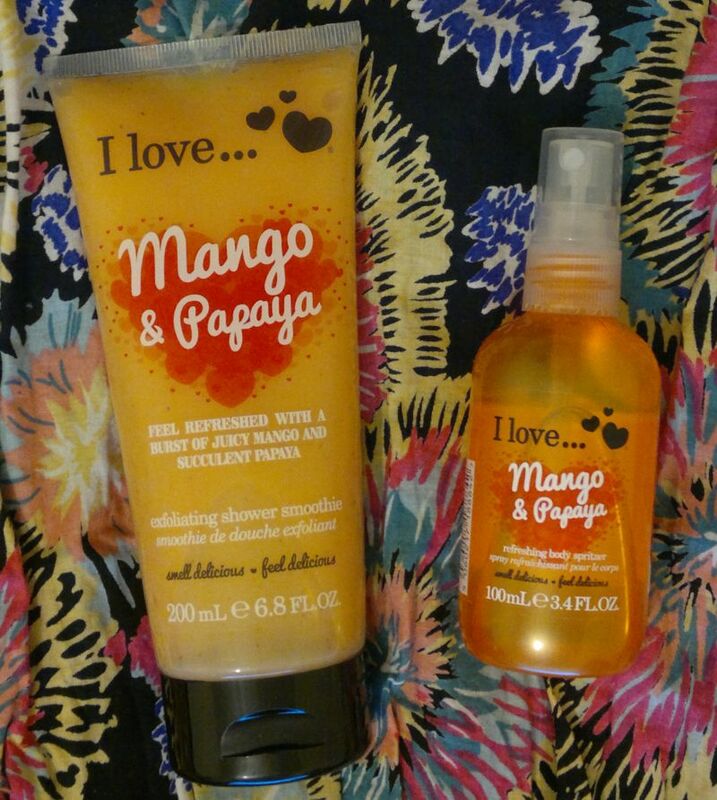 Today’s post is about I Love… Mango & Papaya Exfoliating Shower Smoothie and I Love… Mango & Papaya Refreshing Body Spritzer. 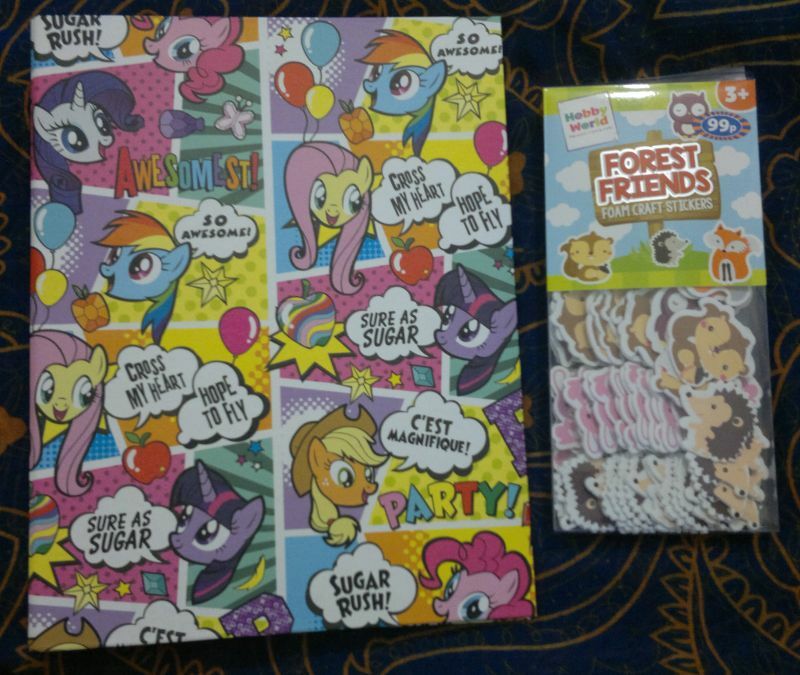 I’m not entirely sure where and when I bought these products. But I’m sure I’ll be able to finish them this summer. Now onto the review! I Love… Mango & Papaya Exfoliating Shower Smoothie is a true 2 in 1 product. It exfoliates my skin nicely, but it’s also a proper shower product. And it smells fruity and juicy. It’s really nice! I Love… Mango & Papaya Refreshing Body Spritzer turned out to be just as nice. Initially I thought this body spray was OK, but after a few days I started to like it. The mango & papaya fragrance is quite well done. It’s fruity and juicy, but it’s not cloyingly sweet. It smells just like… summer! I Love…’s Tropical Paradise Bath & Shower Crème isn’t a shower cream. It’s a shower gel. However, it isn’t too drying which is nice. I like this shower gel mainly because of its fragrance – it’s 95% passion fruit with just a hint of a mix of tropical fruit and coconut milk. Very summery. Very tropical. I Love…’s Tropical Paradise Nourishing Body Butter smells just as tropical as the shower gel. This body butter is also perfectly suitable for warm summer days because it’s not sticky. But it hydrates my skin well! 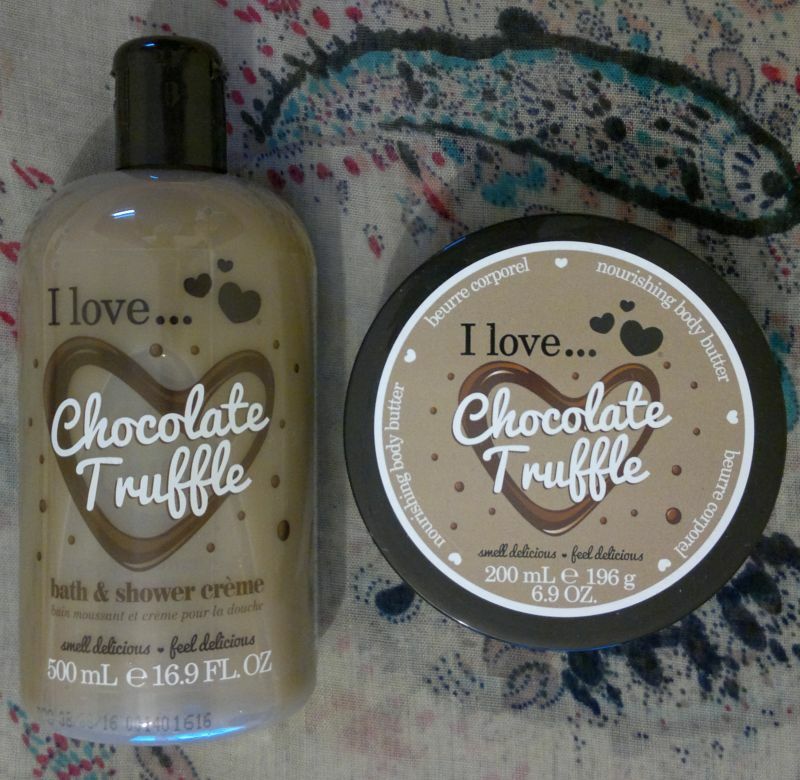 I would recommend these I Love… products to everyone. 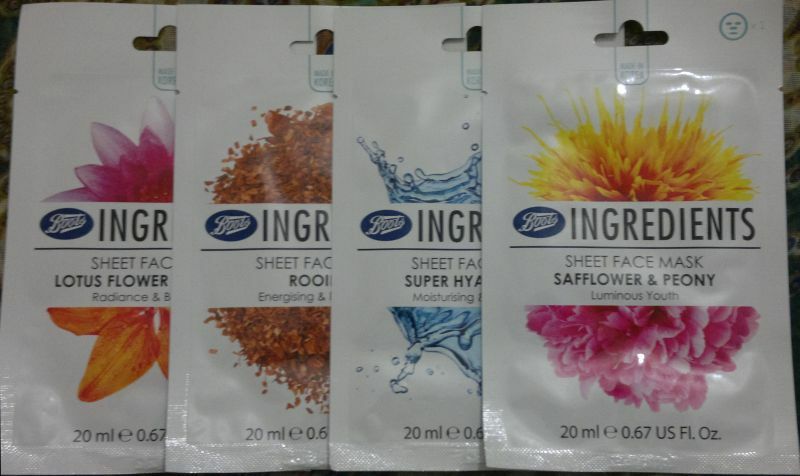 I found these products at my local Poundworld, but I’ve also seen them at Bargain Buys – for £1 each! I Love…’s Tropical Paradise Nourishing Body Butter is available as 200ml. Hi there! Today’s post is about 2 I Love… body mists that I picked up a few months ago – I Love… Chocolates & Oranges Refreshing Body Spritzer and I Love… Gingerbread Refreshing Body Spritzer. I forgot that I had these body mists, but I remembered that I bought them when I saw they were still on sale (Primark) the other day. To make a long story short… I went looking for these two body mists in my stash – and I found them! And now that I’ve tested them, let me tell you more. I Love… Chocolates & Oranges isn’t great at all. It smells cheap and synthetic – it’s borderline unpleasant. But since I hated the matching shower gel, it’s not surprising that I didn’t like the body mist. I Love… Gingerbread smells like gingerbread! Whilst I’ve never liked gingerbread, I have to say this body mist smells exactly like the baked treats. If you like gingerbread, and if you’d like to smell like it, give this body mist a try! 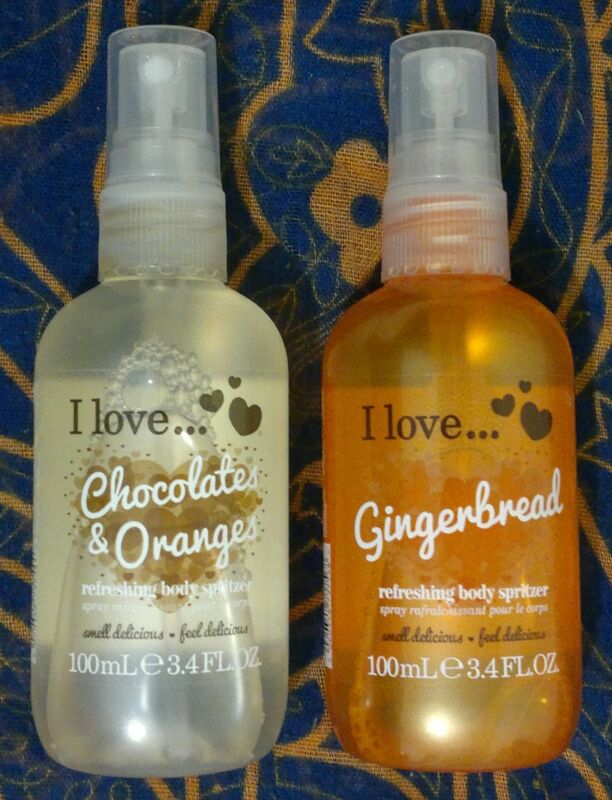 Like I said, these 2 I Love… Refreshing Body Spritzers are available at Primark. My local store isn’t the biggest Primark store, but they have lots of different I Love… products (shower gels, body sprays, etc – different fragrances) for £1 each! Hi there! I know I did a haul post only 2 weeks ago. But I also said I’d be doing some serious bargain shopping on Boxing Day. I ordered lots of stuff online, and I also went to a few stores (Boots, M&S, Poundstretcher, B&M). Here’s what I bought! 1. I didn’t care, and 2. I lost the receipt. 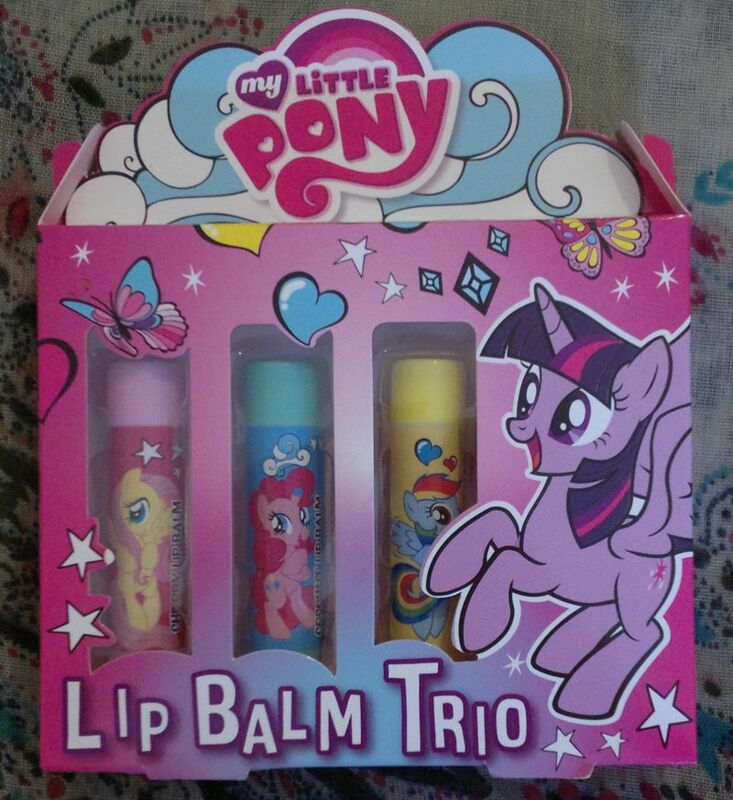 I guess it was £2.99 – the My Little Pony nail polish set which I bought recently was £2.99, and I just assume these sets would cost the same. 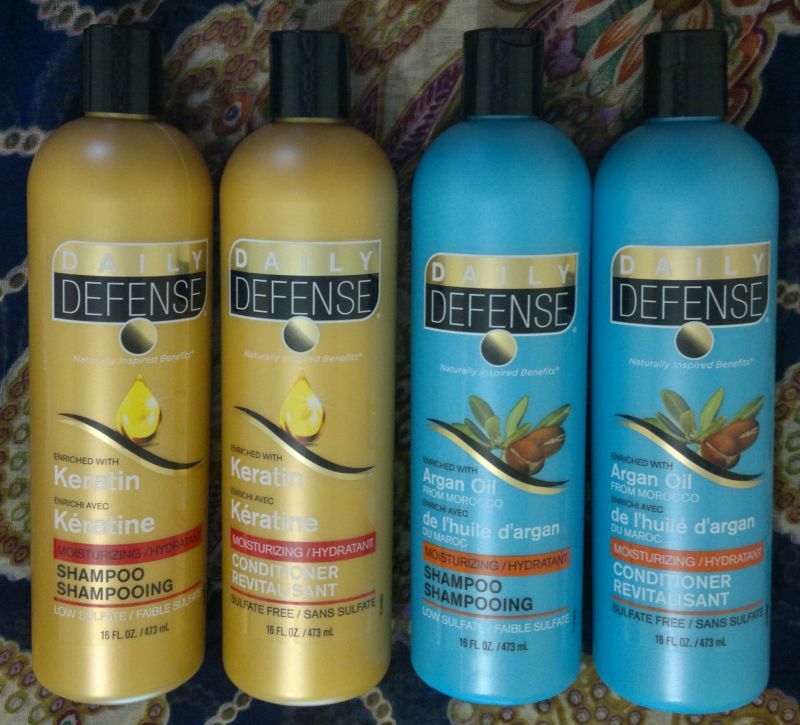 My local Poundstretcher had a few different Daily Defense hair products. I bought the Keratin shampoo and conditioner, and the Argan Oil shampoo and conditioner. These are huge 473ml bottles – and they were £1 each. I’ve never seen these before, and my guess is they were discontinued ages ago. But I sniffed the products before I decided to buy them – and these 4 products smelled excellent! And something else – these products were made in Canada – and they’re cruelty-free! Boots Extracts Vanilla House Of Treats was on top my Boxing Day wish list – because my husband loves Boots’ vanilla fragrance very much. I ended up buying 2 of these vanilla sets, each of which contains 200ml shower gel, 200ml body lotion, and 150ml body mist. 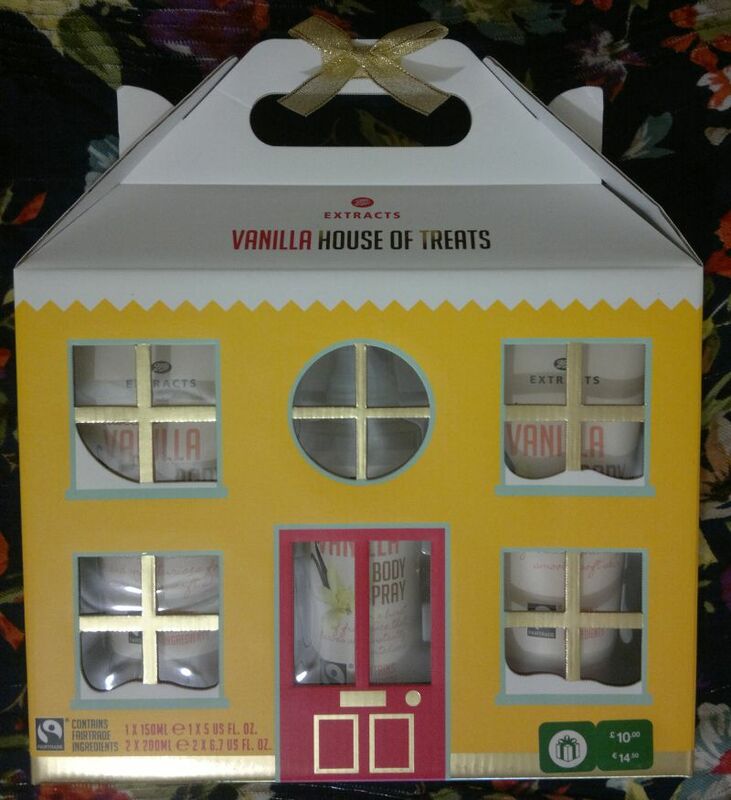 The Vanilla House Of Treats was half price on Boxing Day – so I only spent £5 per set. 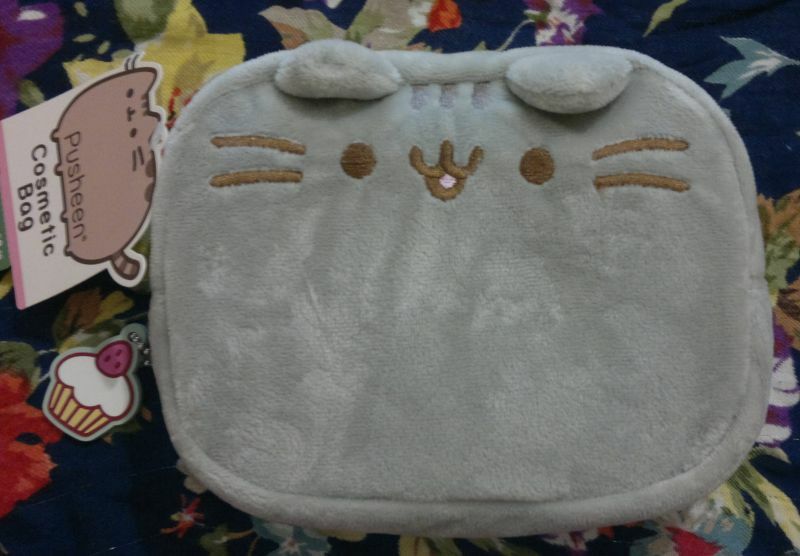 Another half price bargain I got my hands on was this cute Pusheen plush cosmetic bag. 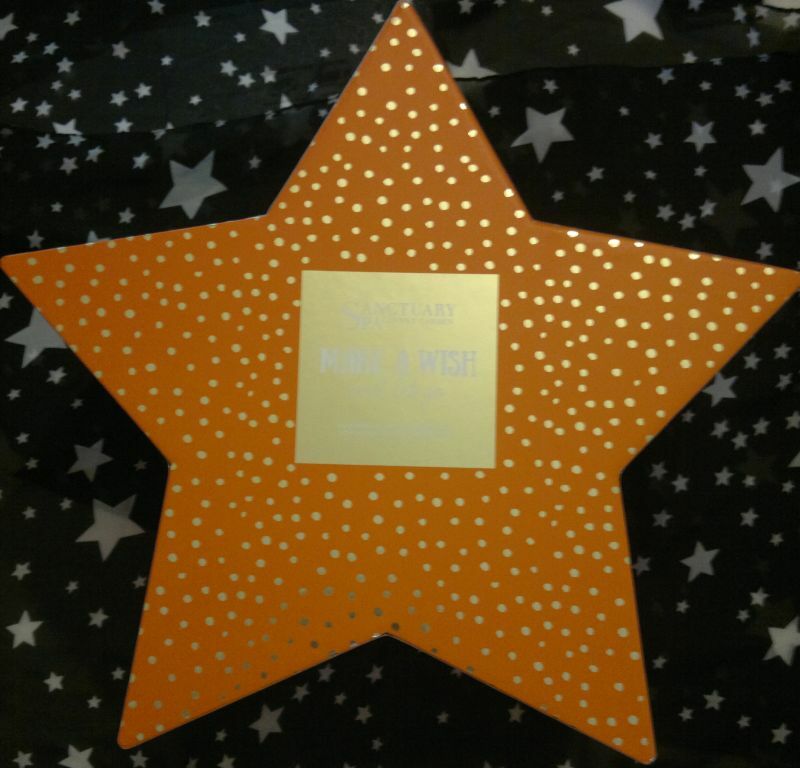 It was £4 only (Boots). The cosmetic bag is quite big – it’s the biggest cosmetic bag I’ve ever owned. I’ll take measurements… I promise. 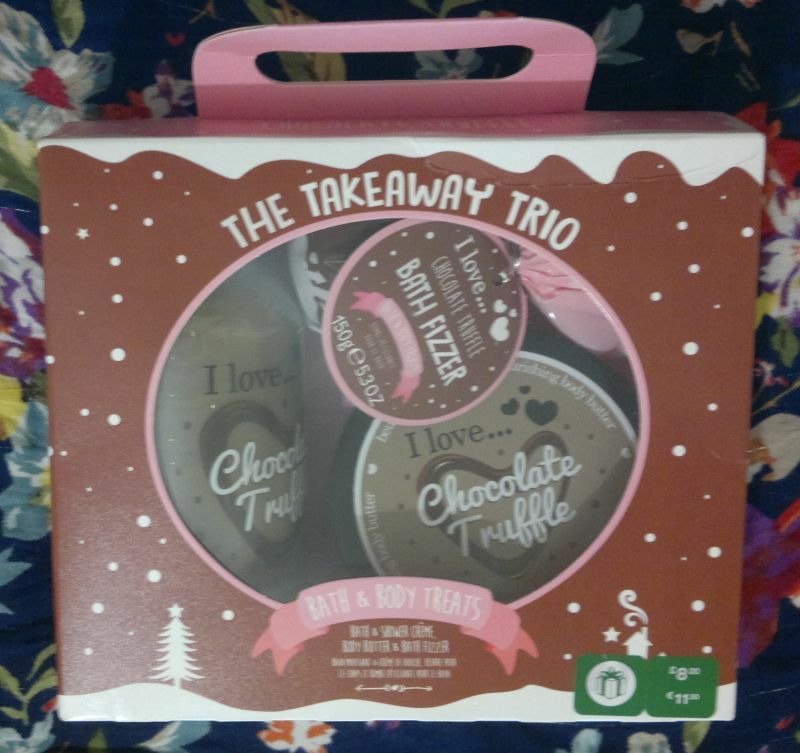 The next awesome half price set is I Love…’s The Takeaway Trio. 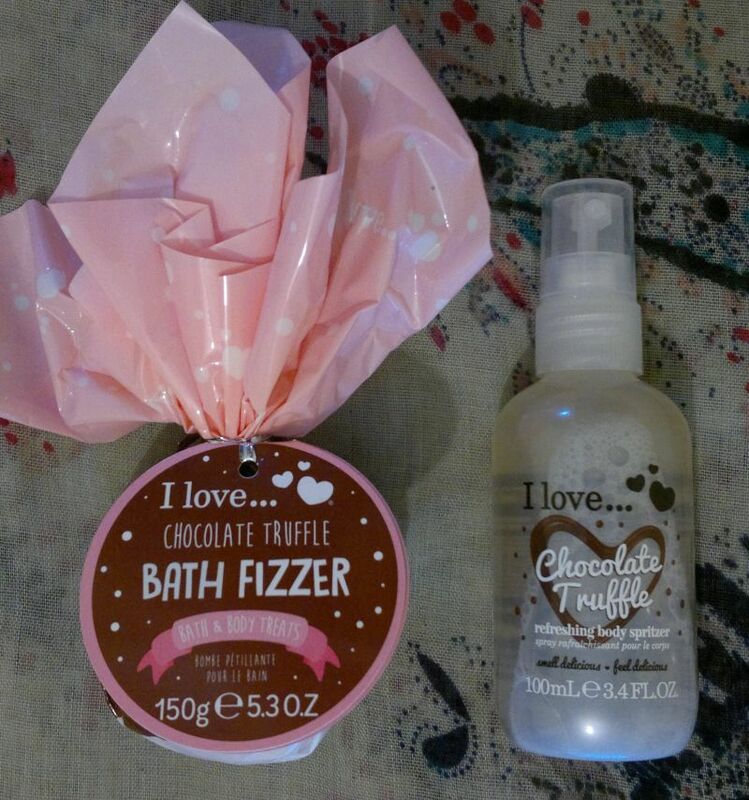 It contains 3 chocolate truffle scented products – 500ml bath & shower cream, 200ml body butter and a big 150g bath fizzer. 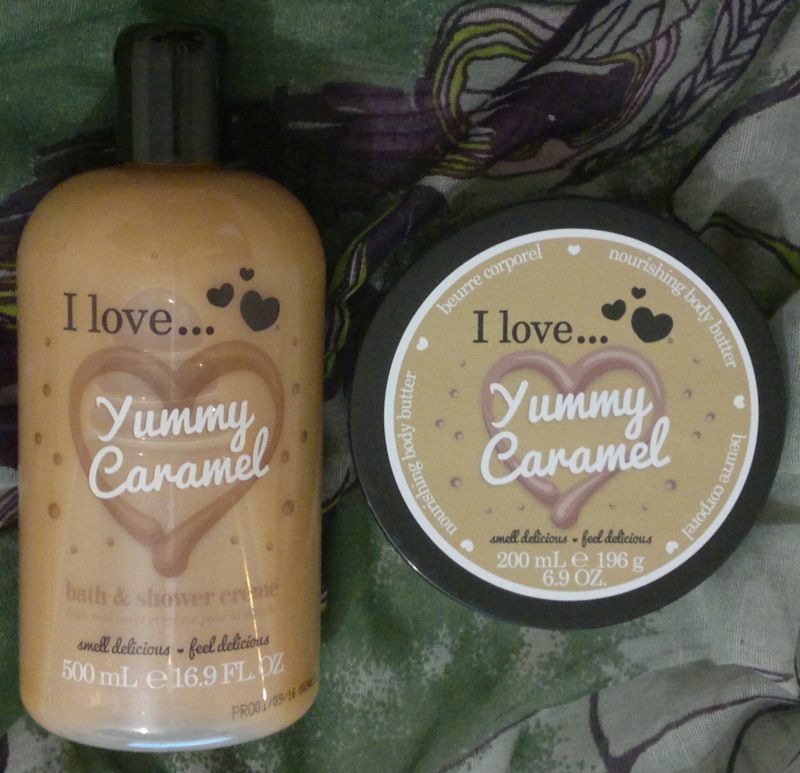 Priced at £4 (Boots) this set is amazing value! 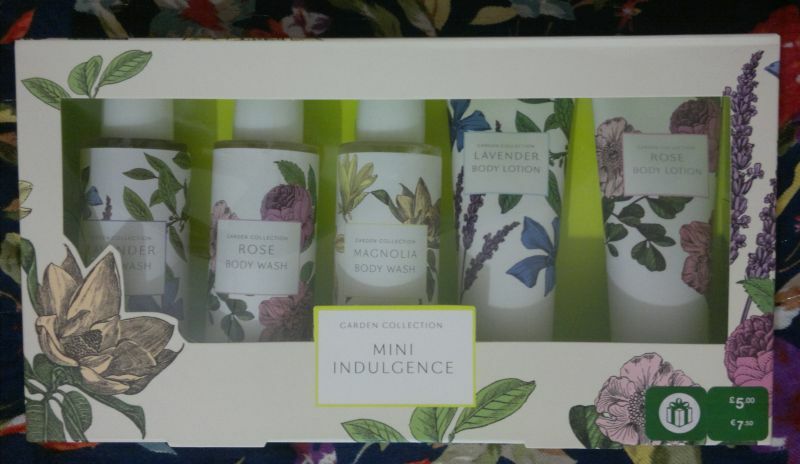 Then I spent £2.50 on this Garden Collection Mini Indulgence set (Boots). It contains 5 products – a lavender body wash and a lavender body lotion, a rose body wash and a rose body lotion, and a magnolia body wash. The bottles are 100ml. I found 2 cute Winter Woodland toiletries sets. 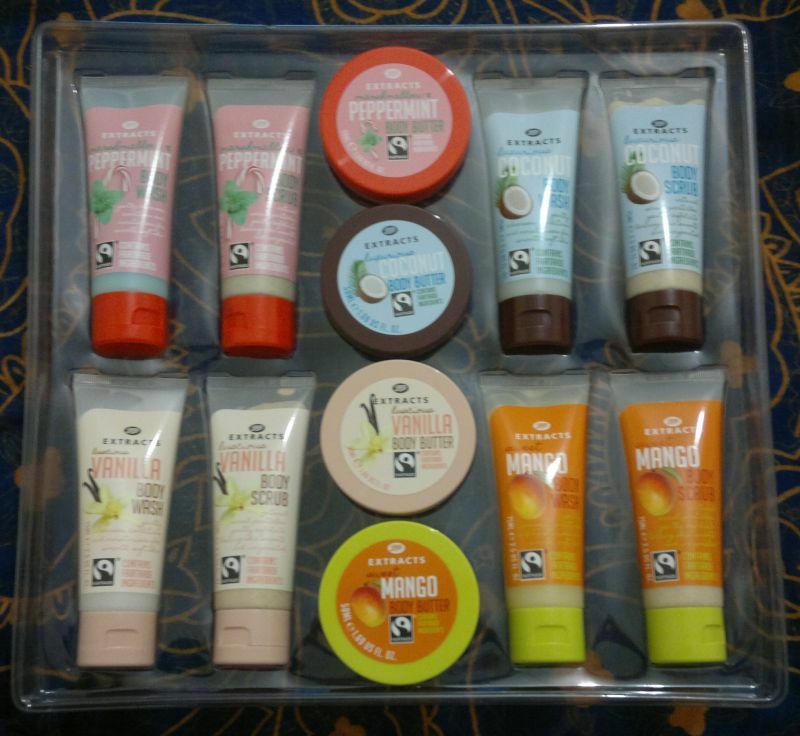 The first set contains 3 shower gels and 3 body lotions. 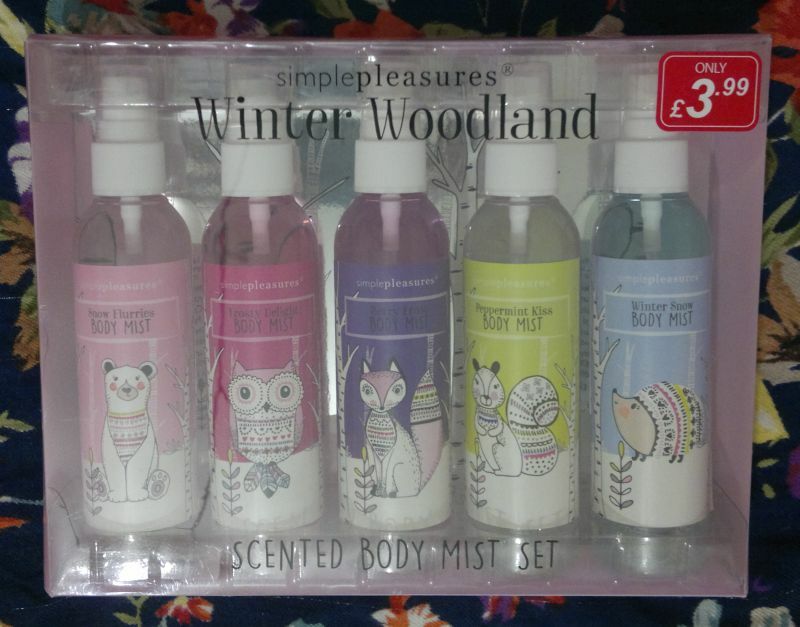 And the second Winter Woodland set contains 5 body mists. These sets are from Poundstretcher. 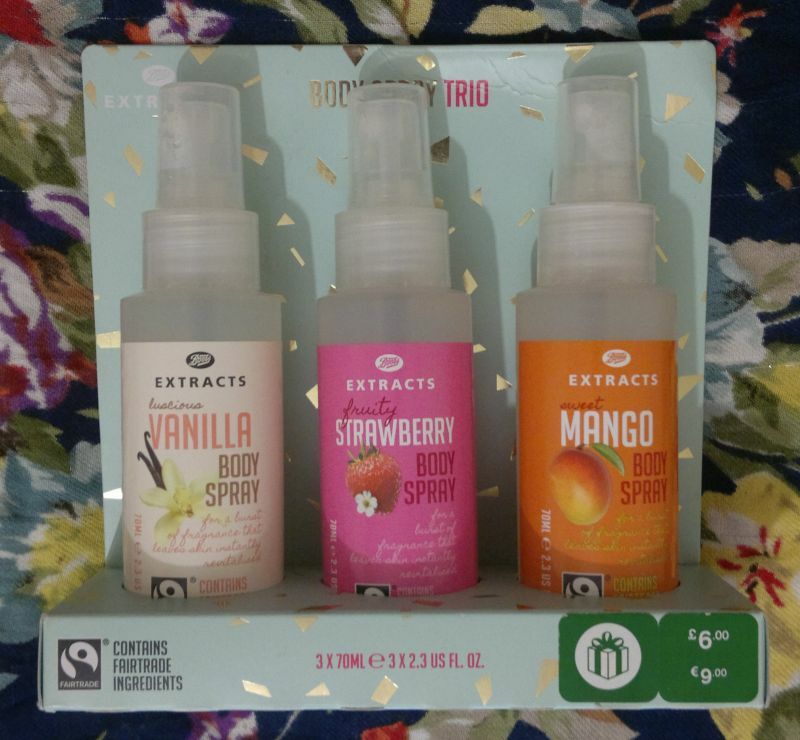 I also bought a Boots Extracts Body Spray trio. For £3 I got Vanilla (My husband’s favourite! ), Strawberry (I’ll give it a sniff, but I think I’ll have to pass this one on to my teenage relative), and Mango (Yummy!). The body sprays are 70ml. My local Marks & Spencer store had a few Pusheen sets for half price too. I bought a nail polish set for £5 and a lip balm duo for £3. 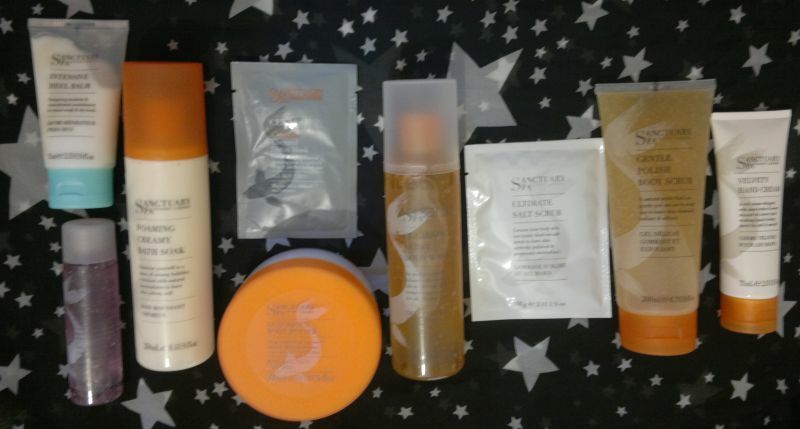 I also got the big Boots Extracts House Of Treats – which contains several shower gels, shower scrubs and body butters. All of these products are travel-sized. This set was £10. 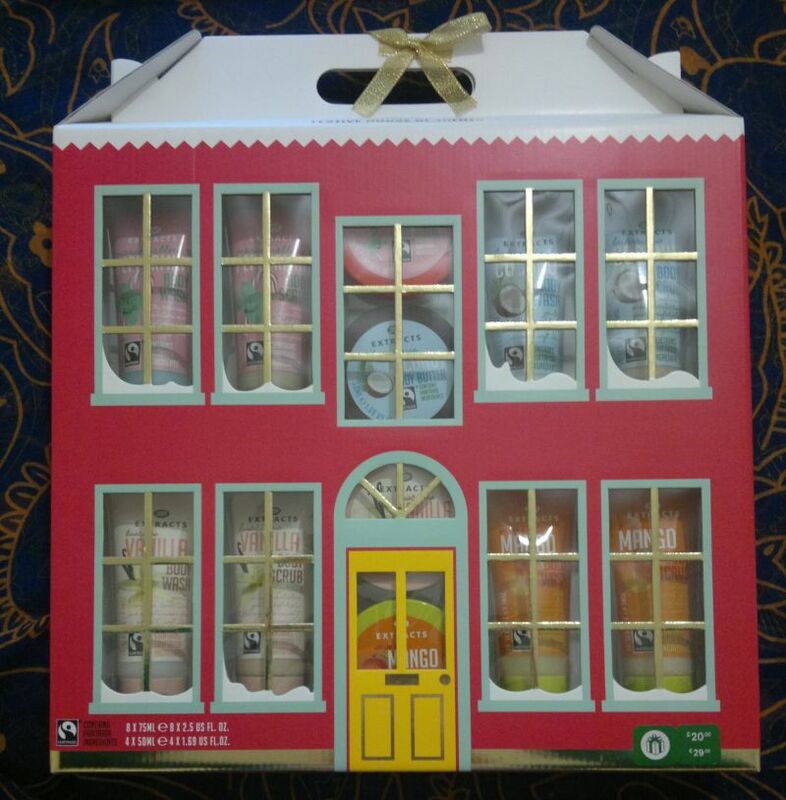 And here’s what’s in the House Of Treats – 4 shower gels, 4 body scrubs, 4 body butters. The fragrances are Marshmallow & Peppermint (limited Christmas edition), Coconut, Vanilla & Mango. 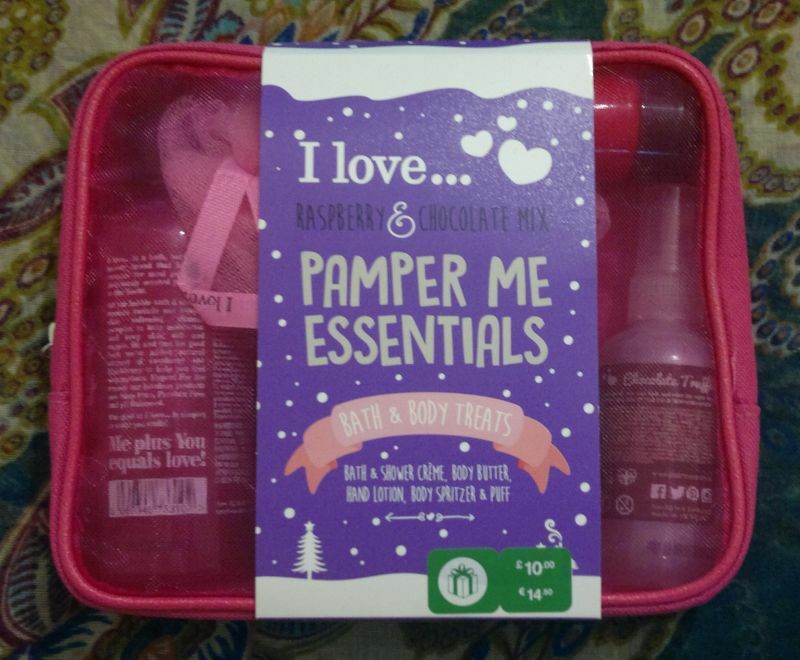 I was glad that I Love…’s Pamper Me Essentials set wasn’t sold out by Boxing Day. So I got this set for £5. 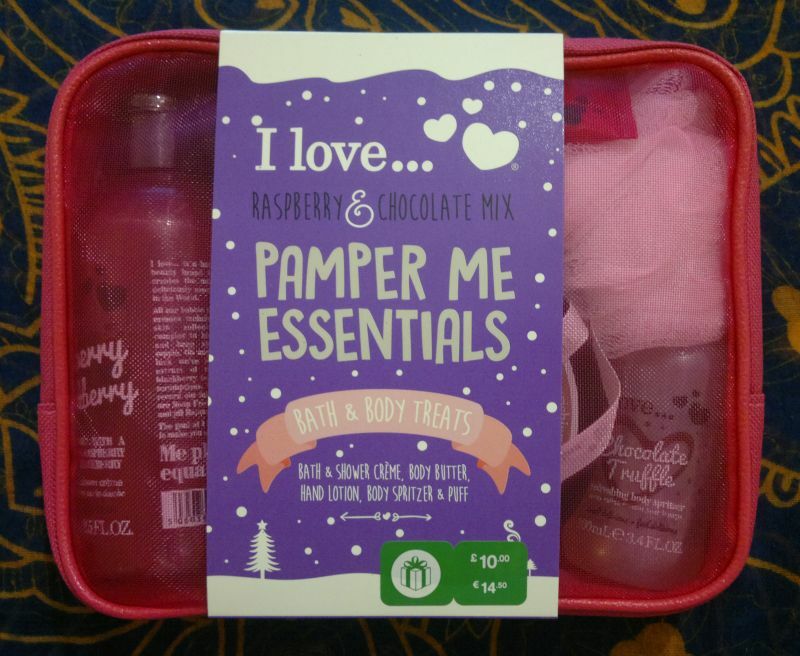 The Pamper Me Essentials set contains a 200ml Raspberry & Blackberry Shower Gel and the matching hand cream, and it contains 2 chocolate Truffle products – a body butter (which I already had in a different set) and a body mist (which was the reason I bought this set – I really wanted this Chocolate Truffle body mist). 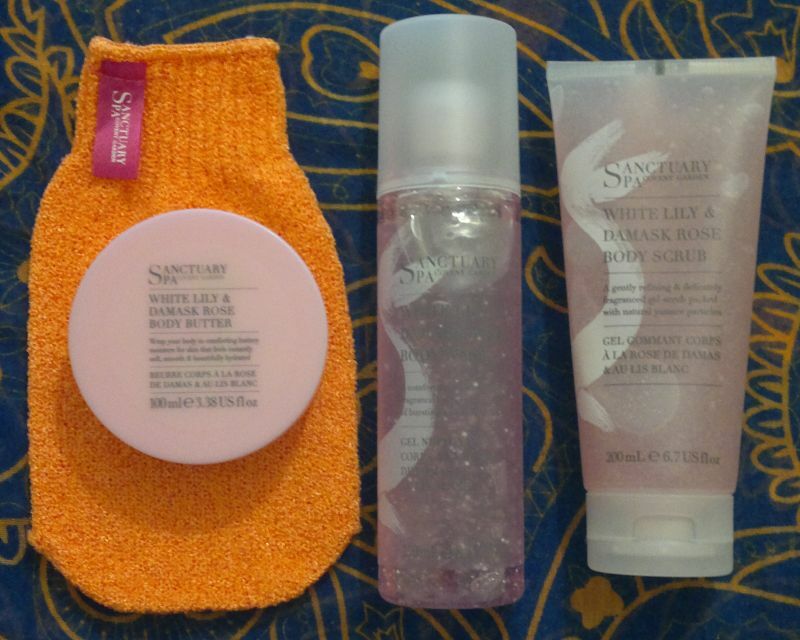 I bought the Sanctury Spa’s Escape And Let Go set which contains an exfoliating mitt, a 100ml body butter, a full size shower gel and a full-size body scrub. All these products have the same fragrance – White Lily & Damask Rose. I think this Sanctuary set was good value. It was £8! 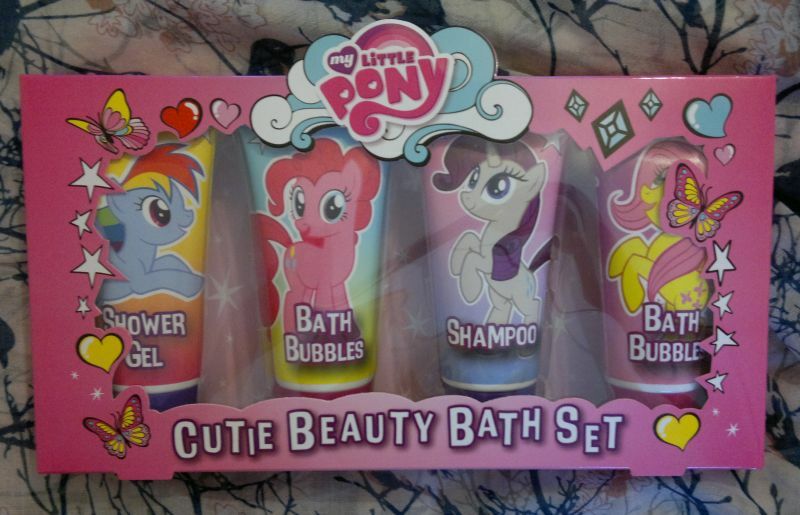 The shower gel and the shower scrub are usually £5.50 each, so I’m really happy with this set. 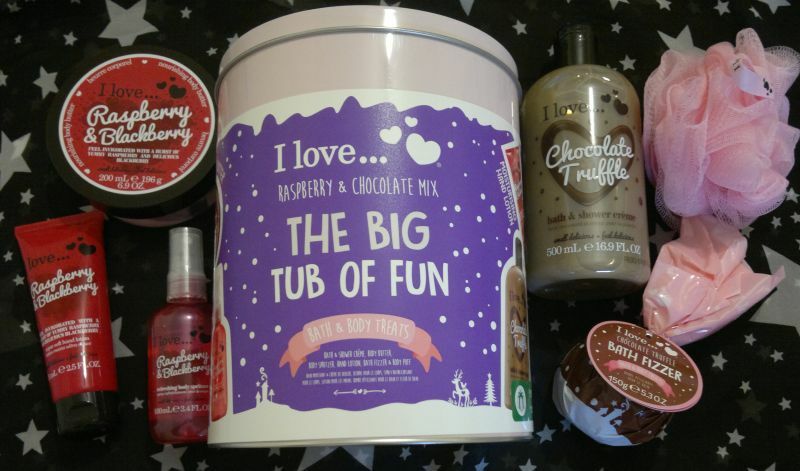 I Love…’s The Big Tub Of Fun was £7.50 only. 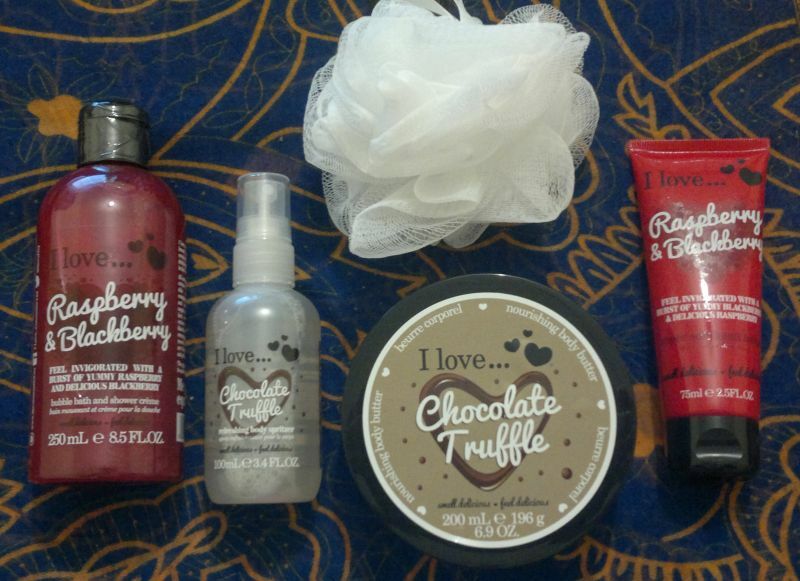 Yes, I only bought it for the Chocolate Truffle products… anyhoo, this set contains a 500ml Chocolate Truffle shower cream, a bath fizzer, a body puff and three Raspberry & Blackberry products – body butter, hand cream and body mist. I think this set is fantastic considering the low price! 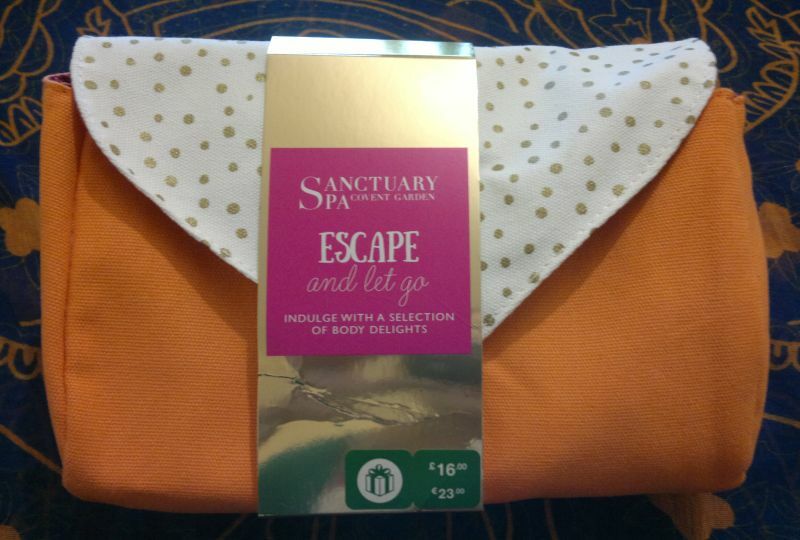 I also bought the huge Sanctuary Spa Make A Wish And Let Go box. It was £22.50 and it’s packed with awesome products! What’s in the box? Heel balm, mini shower gel, bath soak, face mask, body butter, shower gel, salt scrub, body scrub and hand cream. So this is what I got myself on Boxing Day (in store and online). It’s quite a lot, I know. But it’s nothing compared to what I’ve bought in the past. This Boxing Day (well, technically it’s last boxing Day already…) I managed to ignore all those half-price make-up and nail polish sets. 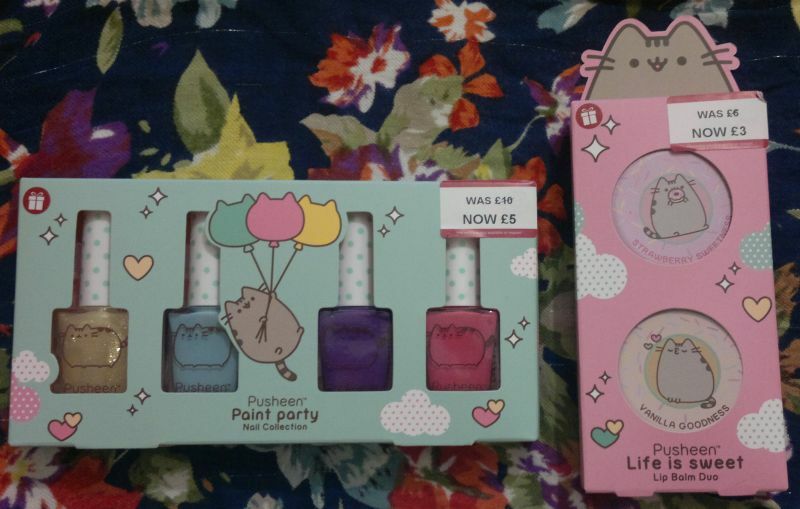 Well, I got the Pusheen nail polish set but that doesn’t count because it’s Pusheen!